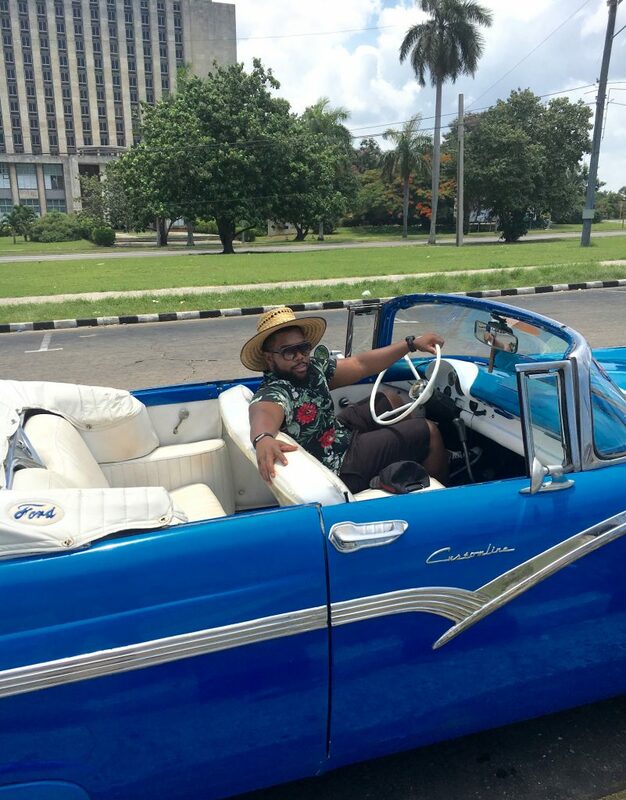 BEYOND BMORE’S TIPS & INFO FOR AMERICANS VISITING CUBA! I was recently able to visit Havana, Cuba and it was an awesome experience. As I stated in my previous post recapping my weekend there, traveling to Cuba as an American was easier than I expected. I’ll assume that if you’re reading this page, you aren’t the bearer of a super special license from the government and want to get there the easiest way possible. Here’s how you can make that happen, as well as other useful information to make sure your trip is stress-free. 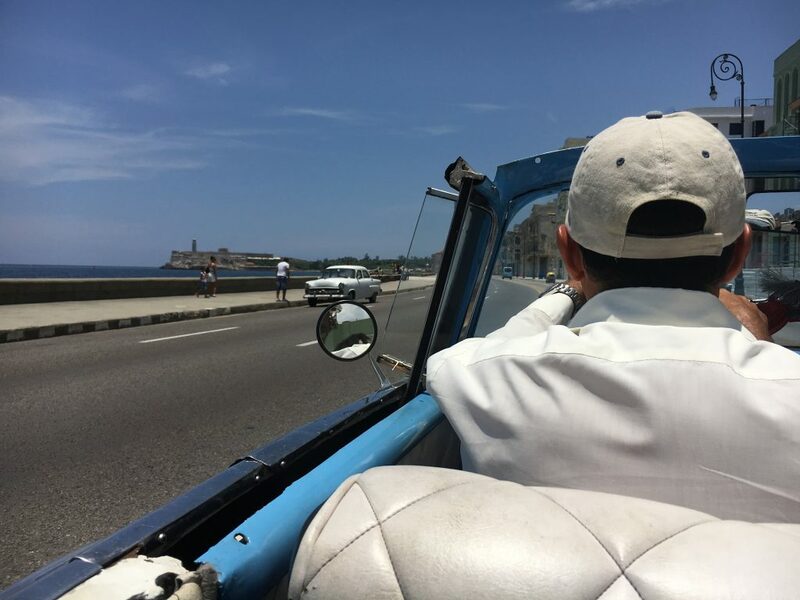 Travel to Cuba is still technically “prohibited” unless you fit under any of the 12 categories of authorized travel. 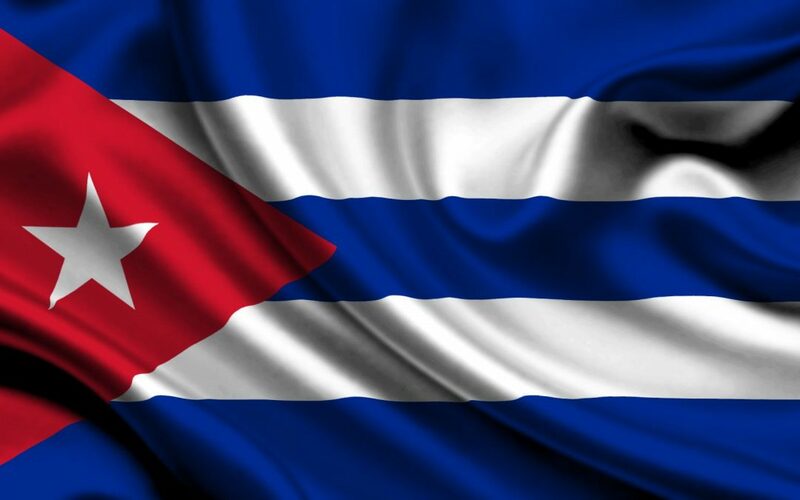 Some of the categories include; support for the Cuban people, journalism, support for the Cuban people, religious activities and – support for the Cuban people. See what I did there? Great! This has proven to be one of the safer choices according to many others as well as myself. A full list of categories can be found by doing a quick online search. 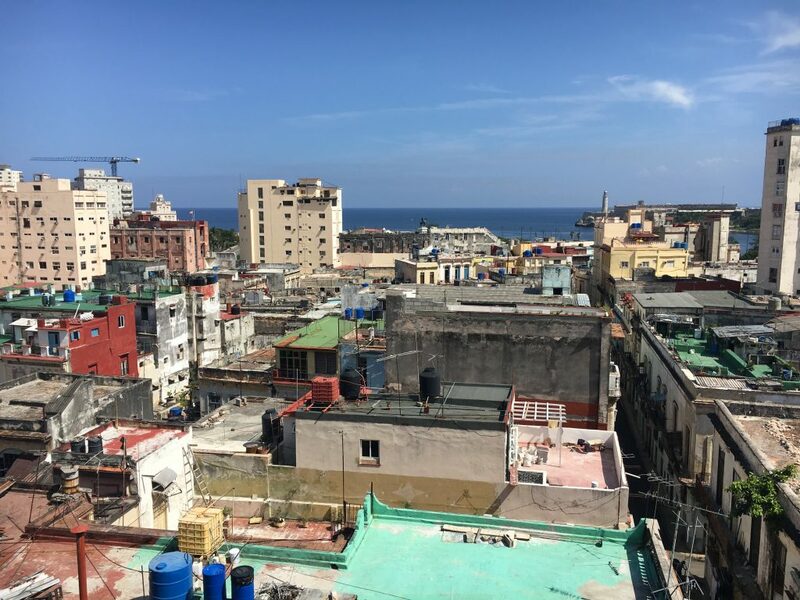 At the time of writing, American carriers are slowly beginning to allow travelers to book direct flights from various U.S. cities into Cuba with service starting in the near future. There are also a few charter companies that can get you there through a little research. 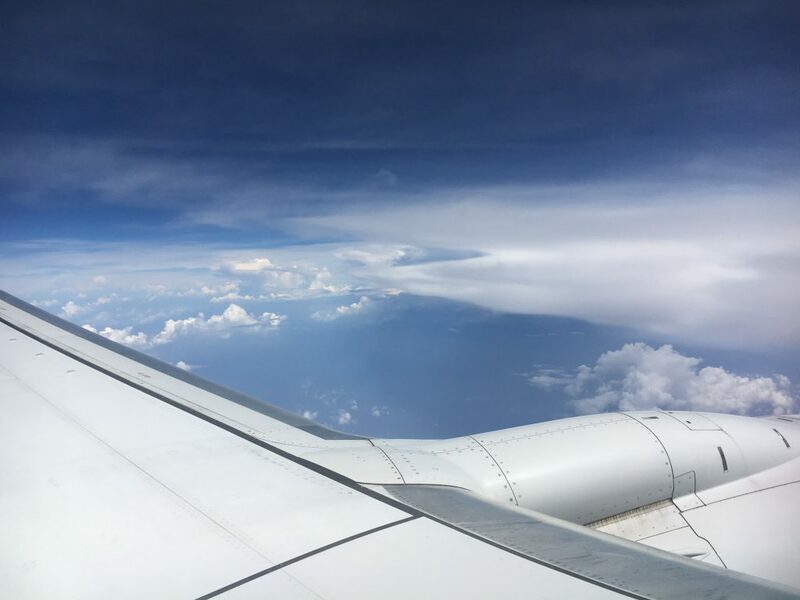 If you’re ready to go now however, the quick and easy way is to book a flight from the U.S. to another country such as Canada or any of the other Caribbean islands. Then, from there into Cuba. This is because only us Americans haven’t been able to visit Cuba for tourism. Citizens of other countries have been going for years. Trying to book flights into Cuba using familiar websites such as Expedia and Orbitz will prove to be unsuccessful. 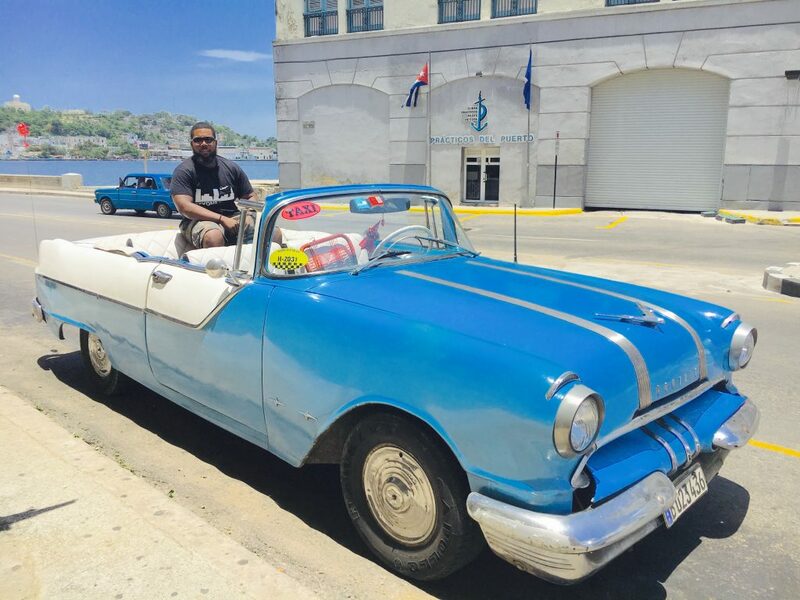 When it came time to book my trip, I used CheapAir.com which allowed me to select Havana as my destination. 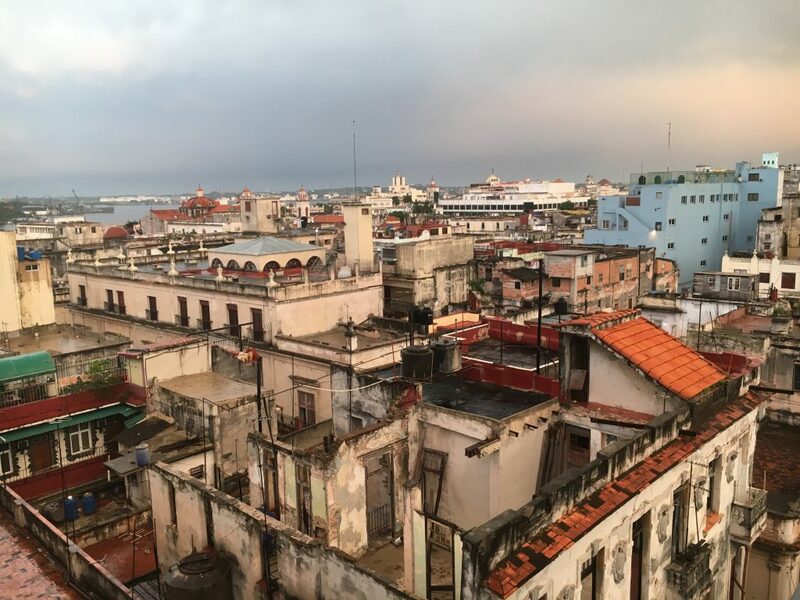 I was then able to book a flight from Washington D.C. to Panama City, Panama with a connection to Havana, Cuba on Copa Airlines. My return flight was once again through Panama before flying back into D.C. The cost of the round trip ticket was $550. On the day of my departure, travel was as smooth as any other trip I’ve taken. At the counter of the departure gate from D.C. to Panama, those of us traveling to Cuba had to sign a form verifying our reason for travel (Support for the Cuban people) and were given our boarding passes. No questions were asked and no further information was required. Once we arrived in Panama, we had an hour before our next flight into Havana. At that counter, we paid $20 for a 30 day Cuban tourist visa. This process will likely be the same should you enter through another country. Half of this card must be presented to the immigration officer when arriving in Cuba. You keep the other half until your departure. After purchasing and filling out the visa, we boarded the plane and we were off to Cuba! Here’s the part that makes most people nervous when considering visiting Cuba. Everyone expects to land and be greeted by officers and search dogs asking you what you are doing in Cuba. Well, here’s the secret. No one cares that you are visiting. In fact, they don’t even really want to know why you’re there. Tourism brings money and money talks. Should you actually be questioned, just give the reason you previously chose, along with maybe a nice smile. Once you get to the immigration officer, they will likely stamp your visa only, instead of your passport. This is done to look out for you, should you ever be asked any questions once back home. If you do want your passport stamped; ask. We did not realize this was the case until after we left the airport. 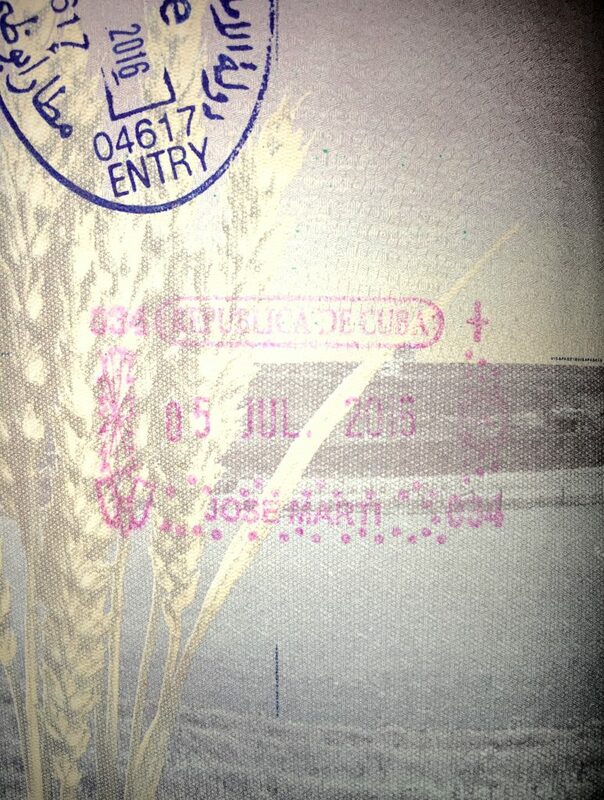 However, when departing Cuba we simply asked the officer to stamp our passport and they did. Cuba requires that all tourists have non- American travel medical insurance prior to visiting. Very rarely will you be asked to provide proof. If you don’t have insurance, you can purchase a special travel insurance there. When we arrived, no one asked us about insurance so don’t expect to be hassled. If they only knew how clumsy I can be, maybe they would’ve. BRING CASH- MORE CASH THAN YOU’LL LIKELY NEED!!! 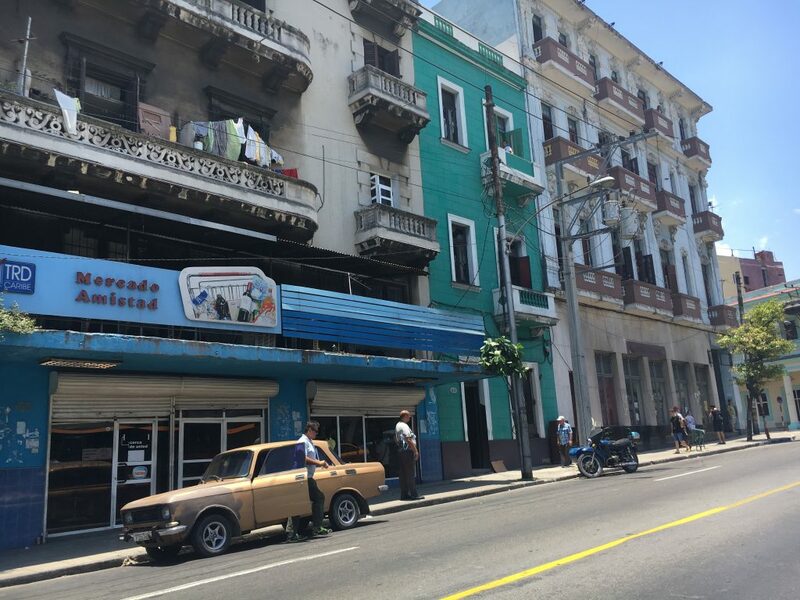 At this time, U.S. issued credit and debit cards do not work in Cuba. U.S. dollars can be exchanged at the airport, hotels or other authorized locations. At the present time, $1 U.S. dollar is equal to 1 Cuban Convertible Peso (CUC) which is the currency used by tourists. Locals use the Cuban Peso (CUP) which is worth a lot less. Please be aware that when exchanging U.S. Dollars you will be charged a 10% penalty fee, although some places are beginning to waive it. You may also be charged a small service fee . For this reason, many people find it easier to exchange Euros, British Pounds, Canadian Dollars etc. Whichever you choose, make sure you have it prior to entering the country or you’ll find yourself out of cash and out of luck. Hotels and resorts in Cuba are typically not cheap, nor are they often up to par with what you may be used to. They are also harder to book prior to arrival with a U.S. issued card. 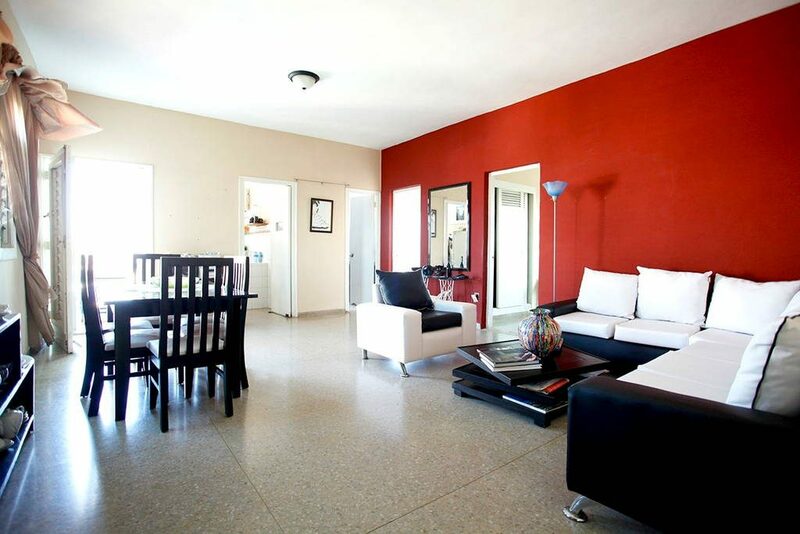 Many people instead stay in “casa particulares” which are guesthouses or rooms in someone’s home. 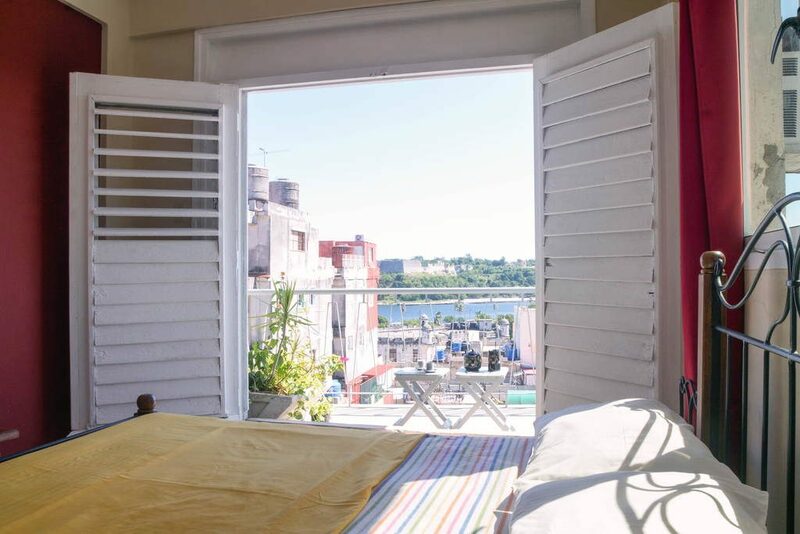 We were able to book an awesome Airbnb right in the heart of Old Havana. 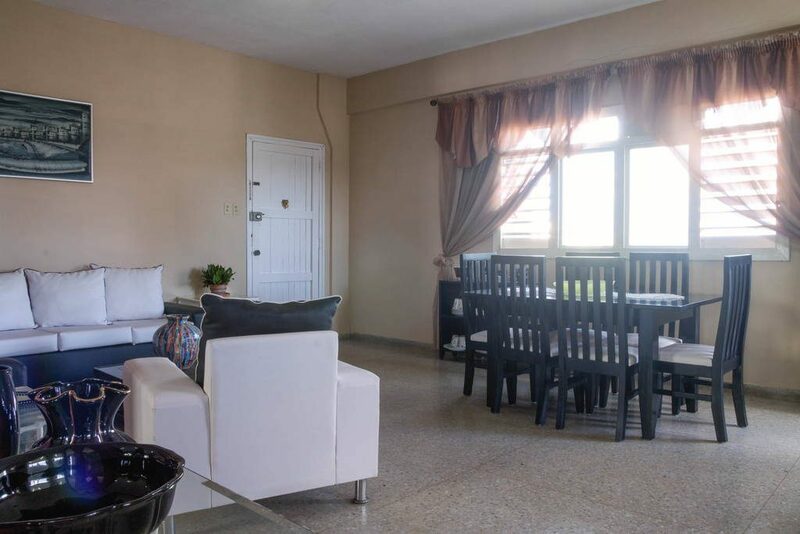 While the surrounding area might catch some off guard, the apartment we rented was modern with a great view and many amenities including having someone come in and prepare homemade breakfast for only $5 per person each morning. I’d highly recommend pre-booking instead of arriving and searching for a place with availability. 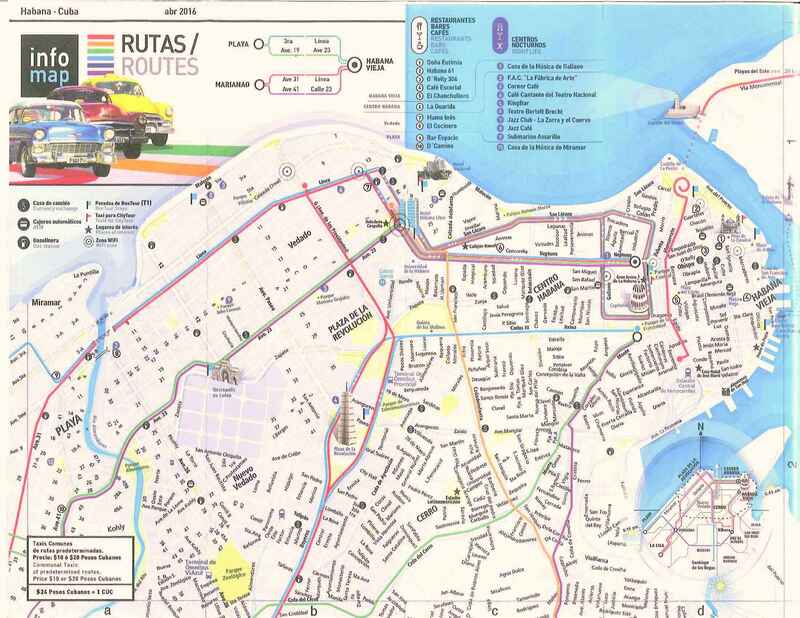 Cuba has a public bus system run by the government should you decide to use it. The fare isn’t expensive but each time one passed us, we noticed that they were very crowded. We instead chose to walk everywhere, or catch a ride in one of the many vintage cars now used as taxis. Fares can be negotiated like everything else. The experience of the ride alone is worth paying for. This was perhaps the one thing that took the most getting used to while visiting. At the current time, no U.S. carrier has an agreement allowing customers to roam on any network while in Cuba. So, expect to land and immediately be greeted with “No Service” on your cell phone. There is access to the internet, however it is very limited. You must connect through the state run ETECSA Wi-Fi networks. Good luck finding places with access. Most major hotels, some public parks and a few restaurants will offer access. You’ll know where Wi-Fi is available based on the large crowds of people seen congregating in areas where it is accessible. In order to connect, you first have to purchase Wi-Fi cards providing a user name and password. 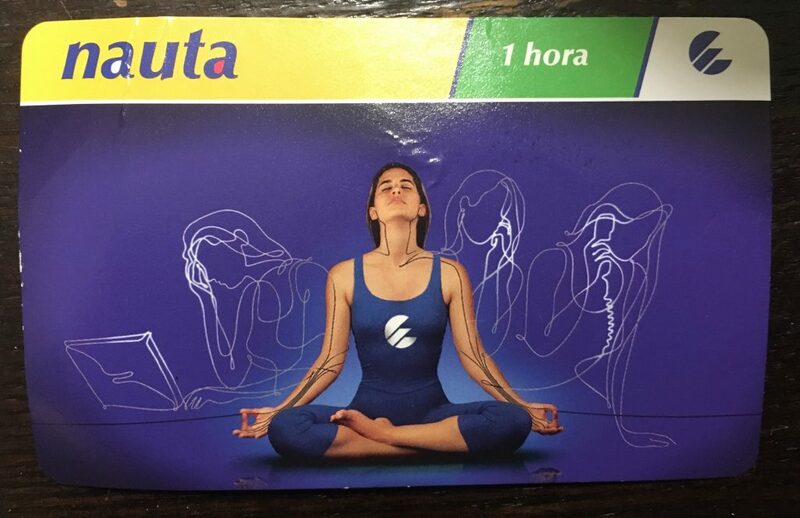 These cards can be purchased at kiosks and many hotels for about $2 – $3 dollars per card with each providing an hour of service. I personally purchased each of my cards from locals selling them on the street. I later found out that this may be considered illegal, but hey it got me connected! Once you adjust to not having 24/7 access to phone service and the internet, you’ll be good to go. What are you waiting for!? Let’s go! I’ve attached a map of Havana that was provided by the host of the apartment where we stayed. It shows places for currency exchange, Wi-Fi as well as restaurants and night life.  Great article Brian reading this definitely provides comfort in looking to travel here. Great work my friend. Once again, you’ve represented our town and country with such pride and dignity. Welcome home and I look forward to reading more about your travels. Regards to all. Thanks a lot! Looking forward to all hanging out soon. Love this post, such great information. Awesome!!! So very informative. Greatly appreciated. Thanks a lot! I definitely appreciate it. Keep coming and supporting, there’s much more to come!